Mobility Chiro Therapy provides expert musculoskeletal care by combining the most innovative recovery tools and traditional approaches. The combination of soft tissue mobilization, functional corrective strategies and our recovery tools create a one of a kind recovery center capable of treating many different conditions. 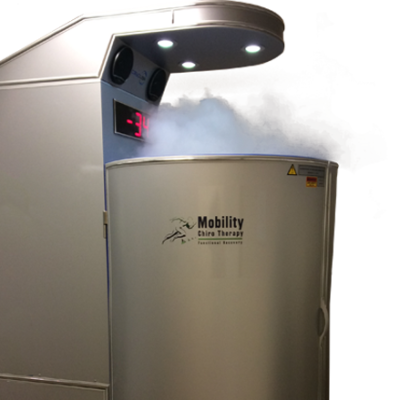 Mobility Chiro Therapy is pleased to offer you whole body cryotherapy at our office in The Woodlands, Texas. Treatments in our cryosauna uses nitrogen, a safe and naturally occurring gas, to quickly lower your body’s core temperature. During just two or three minutes, the cold stimulates your body’s organ regulatory functions and increases your energy, helps cells rejuvenate, boosts your immune system, and promotes overall self-healing. People often experience a sense of well-being because of endorphins released by cryotherapy too. Click here to read more about Cryotherapy at our office, or click the button below to schedule your appointment today! 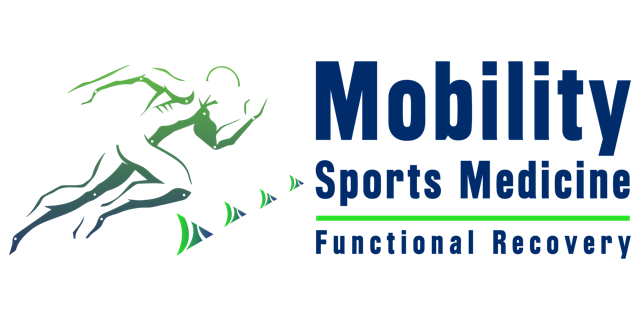 Mobility Sports Medicine was established as a sports medicine practice to better serve our patients by providing diagnosis and treatment of basic sports injuries. Our goal is accurate diagnosis and aggressive management of basic injuries, getting our athletes back to their training as soon as possible.